Radio is the ideal medium for horror and mystery entertainment. In the minds eye, old time radio horror and mystery shows can conjure the most frightening of scary sensations. With sound effects, good timing, and the power of suggestion horror and mystery in classic old time radio created some of the scariest and most memorable horror productions in history. In many ways, horror radio shows differ from horror in film. In film, when the monster or antagonist is shown, it diminishes its veracity--especially if the monster suit looks fake or silly. Images that the listener pictures in his own mind-eye are often scarier than what a make-up artist or producer deems as visually frightening. Another reason why radio is scarier than film is lighting and perspective. If we see the person stuck in a pitch black haunted house or stuck in a coffin, the fear is slightly diminished. If we picture ourselves stuck in a dark room or coffin, the intensity of the fright is much more genuine. The boundaries of horror blur with other genres including drama, crime, science fiction, and even comedy known as black humor. Any topic was made available and spooky, building suspense and danger in the listener's ear. Topics of the horror genre vary widely including monsters and ghouls, noir horror, and the scariest of them all: man. As characters week to week were slashed, murdered, killed, and/or driven insane among other atrocities, we could count on the host returning week to week. This allowed the audience to form an attachment to the show. The introductions on many of the horror radio shows featured tongue and cheek narrations with ghoulish hosts including Ernest Chappell on Quiet, Please, and Maurice Tarplin on The Mysterious Traveler, the Hermit on Hermit's Dave, and the Keeper on Sealed Book. Opening with a creaking door and organ rifts, Inner Sanctum featured Host Raymond Johnson with a tongue and cheek introductions filled with macabre puns. Your Host Raymond ended with "Pleasant dreaaaams, hmm?" Other horror old time radio shows feature a more serious host such as The Man in Black on Suspense and The Whistler. Orson Welles ended Black Museum with: "Now until we meet again in the same place and I tell you another tale of the Black Museum", his signature phrase, "I remain, as always, obediently yours." 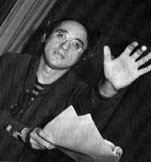 Both Wyllis Cooper and Arch Oboler opened the show Lights Out with a warning those with "timid soul" to turn off their radios. Horror film stars also appeared in old time radio show including Boris Karloff, Peter Lorre, Bela Lugosi and Vincent Price. Peter Lorre hosted show Mystery House and Mystery in the Air. Orson Welles was against interrupting horror shows with sponsor ads. In Mercury Theater, producers omitted advertisements for Pabst Blue Ribbon during the show so the suspense could be built "from spooky start to spooky finish." 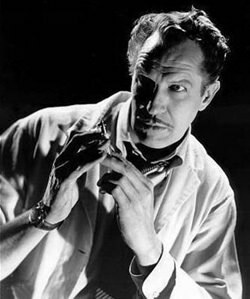 Vincent Price also disagreed with interrupting horror shows with advertisements, saying it was the over commercialization of radio. How could horror and mystery show integrate sponsors with the heightened drama of a scary show? In Lights Out and among other shows the host would welcome you back, and give a quick recap of the show. One show that weaved its sponsorship with the show was Inner Sanctum. The drama was interrupted with conversations between macabre "Your Host Raymond" and cheerful Lipton Tea Lady Mary Bennett. These quick skits are amusing, as Mary attempts to steer the conversation back to Lipton Tea or Lipton Soup and Raymond makes puns and light jokes about the characters in the story. After directing a seven-part radio serial adaptation of Victor Hugo's Les Miserables, the Mutual network approached Orson Welles to make an hour long dramatic radio program for the summer on 1938. Welles insisted on including the Mercury Theatre troupe included Joseph Cotten, Martin Gabel, Agnes Moorehead, Ray Collins, Hans Conreid, Paul Stewart, Will Geer, George Coulouris, Olive Stanton, and Everett Sloane. Under Orson Welles complete creative control, Mercury Theater run was extended beyond the summer months. Orson Welles based the scripts of the shows on literary works such as "A Tale of Two Cities," "Heart of Darkness," "Dracula,' "The Count of Monte Cristo," and most famously "War of the Worlds." The October 30, 1938 adaptation of H. G. Wells' "The War of the Worlds" or "Halloween hoax" episode sent people into the streets in panic that the Martians were invading. The show forever changed broadcast history because of its realism and highlighted the broad cultural impact of the radio medium. The "War of the Worlds Broadcast" made Orson Welles into a household name and attracted the sponsorship of Campbell's Soup. Mercury Theater was renamed Campbell's Playhouse and the theater troupe moved to Hollywood. Black museum is a crime drama hosted by Chief Superintendent John Davidson, the pretend curator of the Black Museum at Scotland Yard. The show featured stories inspired by artifacts held by the real London crime museum, nickname "Black Museum." The real Black Museum features gruesome exhibits from famous cases, including Jack the Ripper, dating back to 1875 and is not open to the public. Like Dragnet and other shows based on true events, Black museum is based on real crimes. In the Black museum collection, there is a log of the real crime committed that each show was based on. The brainchild of Wyllis Cooper, Lights Out was first produced out of Chicago in the fall of 1933. Wyllis Cooper wanted Lights Out to be "a midnight mystery serial to catch the attention of the listeners at the witching hour." The show was innovative and Cooper developed some of the first sound effects. When Wyllis Cooper's workload from other writing commitments gave him less time to work on Lights Out, a young ambitious writer named Arch Oboler filled his shoes. Arch Oboler wrote scripts while still in high school in Chicago, Ill. He was made famous with the Mae West and Don Ameche Garden of Eden sketch on Edgar Bergen and Charlie McCarthy that resulted in Mae West being banned from radio. Arch Oboler took the reigns of Lights Out when Wyllis Cooper left the show for Hollywood. Lights Out aficionados often separate between Wyllis Cooper reign and Arch Oboler. Arch Oboler continued with innovative sound effect used by Wyllis Cooper and invented his own including the much sited wet rubber glove for the sound of a man turning inside out. Arch Oboler also kept the same gruesome stories, but unlike Cooper Oboler insinuated that the stories could be true. Wyllis Cooper already set the standard for Lights Out as the most gruesome and notorious radio show on air, Arch Oboler looked to spook audience even more. His first broadcast was the horrifying "Burial Service" about a paralyzed girl buried alive. The show sparked outrage and letters flooded the station. Arch Oboler sprinkled Lights Out with occasionally drama shows that focused on political themes. This interest in anti-Nazi and social radio shows led to Arch Oboler Plays , an anthology created during WWII. 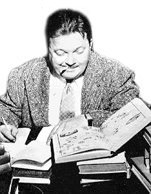 Arch Oboler Plays (1939-1940) was a platform for Oboler's anti-facist beliefs and stars clamored to get in including Ingrid Bergman, James Cagney, Joan Crawford, Katharine Hepburn, Peter Lorre, Frank Lovejoy, and many more. Arch Oboler eventually left radio to write for the big screen. Suspense is a classic horror and mystery old time radio show. One of the longest running radio drama, Suspense broadcast ran between 1942-1962. The show also had a brief run on television from 1949-1954 and there was a Suspense Magazine tied with the show from 1946-1947. During it's twenty-year run, Suspense changed hosts, sponsors, directors, and producers. Originally hosted by "the man in black" first Joseph Kearns and then Ted Osborne. Roma Wines (R-O-M-A Roma Wines!) first sponsored the show and then Autolite Spark Plugs sponsored the Suspense. Agnes Moorehead best known for her performance on Lucille Fletcher's "Sorry, Wrong Number" on Suspense. Alfred Hitchcock directed the audition episode of Suspense, presented on the show Forecast. The show was a version of Hitchcock film "The Lodger." Mystery writer John Dickson Carr wrote many episodes. With a large budget Suspense had many well-known performers on the show including Orson Welles, Agnes Moorehead, Gene Kelly, Alan Ladd, Jack Webb, Jimmy Stewart, Henry Fonda, Humphrey Bogart, Ronald Colman and Cary Grant. Even comedians like Jack Benny and Jim and Marian Jordan (Fibber McGee and Molly). Musicians Phil Harris and Alice Faye guest starred in "Death on My Hands." 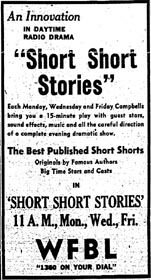 Like all old time radio shows, horrors show had to stick to time constraints, sponsor's demands, and the regular foibles of putting on a production. The old time radio horror shows attracted big name stars, big budgets, and creative people. In old time radio horror shows, producers used sound effects, plot, actor's performances, and the human imagination to strike fear in the listening audience. It's in the mind's eye where the most terrifying of all images are created. In this way, radio is the ideal medium to enjoy horror genre. Comedians in Suspense - Hear your favorite comedians in ways that you would never expect! Boogeymen in Comedy - Shudder and Laugh! Our favorite screen scream stars (Boris Karloff, Peter Lorre, Bela Lugosi, and Vincent Price) having fun with comics. Apocolypse Collection What's scarier than the end of the world? Duck and cover, plagues, robot attacks, time travel, annihilation, Cold War Speeches, and more! Blind Terror Old Time Radio horror and mystery shows about blindness, losing one's vision, and people with visual impairment. Boo Broadcasts includes shows specifically about ghosts, haunted houses, and eerie sounds in the night. Creepiest Radio Shows Collection Turn the lights down low and sit as close as you can to your Sweetheart when this scary collection plays! Devils, Demons, Satan, and Lucifer in Old Time Radio! In this collection where the Devil himself actually shows up perhaps as a stand-ins for "the evil which lurks in the hearts of men." Gothic Horror Collection features creepy shows contrasting the innocent victims with the super evil villains find their home in the theater of the mind. Halloween Scary Sampler has some of the greatest spooky radio shows for the festive season listening. Halloween Variety Specials Collection is a fang-tastic compilations comedic radio Halloween special shows. Highway of Horrors - spooky tales of freaky freeways, rocky roads, and terror on the turnpikes, this collection is filled with murderers, joyriders, hitchhikers, and kidnapping from Inner Sanctum, X Minus One, Big Town, Dragnet, Suspense, and more. Haunted House Collection - radio is the perfect medium for a good haunted house story because not seeing the ghost is almost equally as frightening as seeing one. Martians, Aliens, and UFOs is a wonderful science fiction collection with little green men, Martians, and flying saucers. The most memorable in this sub-genre is Orson Welles' radio adaptation of H.G. Wells "War of the Worlds" in Mercury Theater. Monster Collection featuring monsters of all shapes and sizes from Dracula, Frankenstein's, zombies, and swamp monsters. 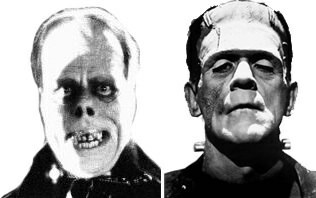 There is a long literary and cinematic, and radio history featuring monsters. Robots Collection features another horror sub-genre focusing on Robots and other artificially intelligent creatures. Superstition in Old Time Radio Break a Mirror, follow a Black Cat, Step on a Crack or walk under a ladder, just get to a Radio as soon as you can to enjoy our Superstitions Collection! Vampires and Dracula in Old Time Radio Get your garlic and crucifix, this collection includes a wide variety of vampire-themed old time radio shows. Werewolves in Old Time Radio different Werewolves in Old Time Radio Legends of shape-shifting wolf men have been around since ancient times, these old time radio shows include werewolves and the ferocity of their attacks. Best of CBSRMT - There were 1,399 original episodes of CBSRMT recorded, and this collection is of fifty of the very best. Best of Escape - Featuring hand-picked radio shows from Escape, one of the best drama anthologies on the air. Best of Inner Sanctum - Best Inner Sanctum shows with host Raymond. "Pleasant Dreeeeeams, hmm?" Best of Suspense contains the hand-picked favorites of OTRCAT. Suspense ran for 20 years with over 980 episodes. Our Best of Suspense collection is great for people new to the show or long time fans looking for a "greatest hits" of the series. Best of The WhistlerOne of the most popular and best Mystery shows in the history of old time radio, The Whistler ran for 15 straight years. This collection includes the best of The Whistler. Agnes Moorehead: This marvelous actress was much more than Samantha's mom on Bewtcihed; she was part of the backbone of Orson Welles' Mercury Theater and one of the most talented and versatile voices Suspense and the Golden Age of Radio. Boris Karloff: The original Frankenstein's Monster, Karloff was one of Radio's great Horror and Comic voices. Vincent Price: Mr. Price was one our most prolific native Horror Men, but also an incredible comic talent. And one of Radio's best Soft-boiled Detecties, The Saint. 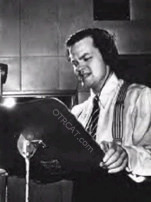 Orson Welles: Responsible for one of Radio's Great Halloween Pranks, War of the Worlds, Welles career was on of the most creative and prolific in Radio. Agatha Christie Collection - Enjoy these "whodunits" from the famous detective novelist: These exciting old time radio tales from various series have plot twists perfect for "radio's outstanding theater of thrills". Alfred Hitchcock Collection - Includes radio adaptations on Hitchcock's most memorable films, including Spellbound, The Birds, Rebecca, Sorry Wrong Number, and Shadow of a Doubt. Arch Oboler Collection - enjoy the great radio plays in this anthology of the eccentric horror fiction writer Arch Oboler who is best known for pushing the medium of radio in sound production, writing, and programming. Carlton E Morse Collection - one of the greatest authors of his generation, Cornell Woolrich's stories were sought out by radio and film producers alike. Cornell Woolrich Collection - one of the greatest authors of his generation, Cornell Woolrich's stories were sought out by radio and film producers alike. E Jack Neuman - one of the most prolific writers and producers in show business including credits on Sam Spade, Suspense, and Yours Truly, Johnny Dollar. Edgar Allen Poe Collection - Macabre Tales from the Spookiest Favorite American Author including scripts based on The Tell-Tale Heart, The Pit and the Pendulum, Cask of Amontiago, The Black Cat, and more! HP Lovecraft - This collection includes episodes from the great horror and mystery writer H.P. Lovecraft who loved "freaking the tarnation" out of audiences with episodes of Rats in the Wall, Outsider, and Dunwich Horror. John Dickson Carr Collection - Mystery writer extraordinaire John Dickson Carr was a prolific writer during the golden age of detective mysteries in the 1930s. He is considered a master of "locked room mysteries" stories that required complex logic to solve because on the surface they seemed unsolvable. John Michael Hayes Collection - best known as the screenwriter for several big Alfred Hitchcock films, including Rear Window, The Man Who Knew Too Much, and To Catch a Thief. John Michael Hayes also wrote for old time radio shows such as Escape, Sam Spade, Night Beat, Suspense and more! 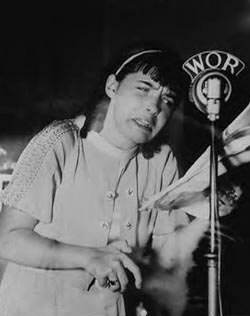 Lucille Fletcher Collection - Writer of acclaimed old time radio show "Sorry Wrong Number", "The Hitchhiker", and many more, Lucille Fletcher was discovered by Norman Corwin who adapted her stories for Columbia Workshop. Norman Corwin - One of the greatest creative minds that has ever floated through the airwaves, Norman Corwin's poetic personality left an impression on listeners everywhere including the genre of horror with many of his Columbia Workshop episodes. Patricia Highsmith Collection - A crime novelist best known for The Talented Mr. Ripley and Strangers on a Train, she infused troubled psychologies into her amoral characters, writing taut thrillers about betrayal, threats, and manipulation. Ray Bradbury Collection - A Collection of Vintage Bradbury Stories adapted for radio including many of his Escape, Radio Workshop, and Suspense episodes will send a chill down your spine. Wyllis Cooper Collection - Cooper's commitment to mind-bending, truly affecting science fiction ensured that his programs would win over listeners and draw critical acclaim. Spoiler : I love how the author of this article new exactly what both the story were like. Spoiler : These shows are incredible. I listen to them throughout the year, but make a point to listen with family every year around Halloween. Some of the Lights Out, Inner Sanctum and Suspense programs are my favorite. Love it - thanks for finding all these!